The term “CIT” is often spoken about when it comes to training and a law enforcement program. The below definitions are taken from some of the national leaders in the movement of CIT. "CIT (Crisis Intervention Team) programs are local initiatives designed to improve the way law enforcement and the community respond to people experiencing mental health crises. They are built on strong partnerships between law enforcement, mental health provider agencies and individuals and families affected by mental illness." ​The Crisis Intervention Team (CIT) is an innovative first-responder model of police-based crisis intervention with community, health care, and advocacy partnerships. The CIT Model was first developed in Memphis and has spread throughout the country. It is known as the “Memphis Model.” CIT provides law enforcement-based crisis intervention training for assisting those individuals with a mental illness, and improves the safety of patrol officers, consumers, family members, and citizens within the community. CIT is a program that provides the foundation necessary to promote community and statewide solutions to assist individuals with a mental illness. The CIT Model reduces both stigma and the need for further involvement with the criminal justice system. CIT provides a forum for effective problem solving regarding the interaction between the criminal justice and mental health care system and creates the context for sustainable change. -Dupont, Randolph, Sam Cochran, and Sarah Pillsbury. "Crisis Intervention Team Core Elements." (2007). Print. University of Memphis. CIT programs partner with universities, corrections departments, homeless assistance providers, hospitals, advocates, peers, and family members. Collaboration helps law enforcement agencies create access to a system of care. A program coordinator is involved in all aspects of the CIT program, promoting collaboration, recognition, transparency, and cross-agency development. In any community, a good starting point is to have a designated program coordinator who builds partnerships through outreach, promotes the CIT program, collects and shares data, and is involved in all aspects of the program. CIT programs provide foundational and advanced knowledge of mental health, de-escalation, and resources. CIT training should touch on at least one of three topics: safety, destigmatization, and accessing resources. A robust program may have a 40-hour basic course with an additional advance course. In any community, even in courses with fewer hours, training on severe mental illness must serve the function of promoting safety, decreasing stigma, or finding resources—otherwise why teach law enforcement personnel about mental illness at all? Coordinated responses are the active component of a CIT program that is supposed to make life better and safer for the citizens. In Albuquerque, real-time responses have clinical guidance and try to focus only on situations where police are truly needed. This includes the CIT detectives, field officers, clinicians, the psychiatrist, and other civilians. In any community, coordinated responses can start with just one or two officers who have an interest in working with people living with mental illness, and with the support of a law enforcement agency, officers can be assigned as mental health detectives or program coordinators. ​Mental health contacts and intervention by law enforcement became part of the profession with the deinstitutionalization of nonviolent mentally ill patients in the 1960s. The goal was to allow people receiving treatment in an institution to continue to receive the treatment but from community service agencies. The money saved by hospital closing was to be transferred to outpatient community programs. The money intended for outpatient services never found its way to the community. Funding for outpatient treatment services and programs are still lacking it most areas of the United States. This left a gap for people who were in need of services. Without the assistance many people stop their treatment programs; which resulted in many people becoming unstable while living in the community, with their families who were ill equipped to be caregivers. When people living with the illness became psychotic or had poor quality of life in communities, the police became the go to resource for helping. Law enforcement has always been there to serve the most vulnerable in their community, which historically was viewed as victims of crime. With the lack of resources and treatment for people with mental illness they became the most vulnerable in many communities leading officers to become front line mental health workers. Bayne, W. (1987, September 30). Furor sparks call for crisis team. Memphis Metro, pp. B1-B2. ​In September 1987 Memphis, TN police responded to a 911 call involving a young man with a history of mental illness who was cutting himself with a knife and threatening suicide. When officers responded to the location they had ordered the man to drop the knife. The man became more upset and ran towards the officers with the knife still in his hand. Officers then discharged their firearms killing the man. Officers were trained to use deadly force when they perceive their own or someone else’s life to be in grave danger. This incident was criticized because the perception on the call was the only life in danger was the man who wanted to kill himself. This occurred during a time of racial tension in Memphis and the man was African-America while both officers were white. This incident was the catalyst for the creation of the Crisis Intervention Team (CIT) in Memphis. ​The Memphis Police Department joined in partnership with the Memphis Chapter of the National Alliance for the Mentally Ill (NAMI), mental health providers, and two local universities (the University of Memphis and the University of Tennessee) in organizing, training, and implementing a specialized unit. This unique and creative alliance was established for the purpose of developing a more intelligent, understandable, and safe approach to mental crisis events. This community effort was the genesis of the Memphis Police Department’s Crisis Intervention Team. The Memphis CIT program has achieved remarkable success, in large part because it has remained a true community partnership. Today, the so-called “Memphis Model” has been adopted by more than 2000 communities in more than 40 states, and is being implemented statewide in several states, including Maine, Connecticut, Ohio, Georgia, Florida, Utah, and Kentucky. ​Sam Cochran was the coordinator of the Memphis Police Services Crisis Intervention Team (CIT). He retired from the Memphis police department as a Major after over 30 years of service and now provides consultation to CIT programs throughout the nation. He holds a Masters degree in Political Science from the University of Southern Mississippi. In addition to his nationally recognized work with the CIT program, Major Cochran was a coordinator for the Hostage Negotiation Team and the Critical Incident Services (CIS) for the Memphis Police Department. During his time as a law enforcement officer, Major Cochran (ret.) served in uniform patrol, the investigative division and was been an instructor at the training academy. 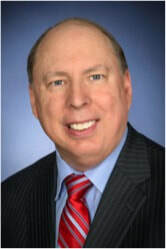 He is nationally known for his work in the field of crisis intervention. In addition to receiving the City University of New York (CUNY) John Jay College of Criminal Justice, Law Enforcement News Person of the Year Award (2000), the National Alliance of the Mentally Ill (NAMI) has named their annual law enforcement advocacy award after Sam Cochran. He has worked with police departments throughout the nation as well as departments in Canada, Australia, and England. ​Randolph Dupont, PhD is a Professor and Clinical Psychologist at the University of Memphis School of Urban Affairs and Public Policy, Department of Criminology and Criminal Justice. Previously, he was a professor at the University of Tennessee Center for the Health Sciences where he directed the Regional Medical Center Psychiatric Emergency Services for 14 years. 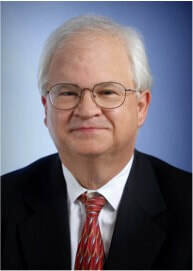 He was the principal investigator for the Tennessee Health and Human Services SAMSA Jail Diversion Research project and is currently a principal investigator in the National Science Foundations grant to study the use of advanced computer technology to train law enforcement officers in crisis de-escalation techniques. Dr. Dupont is a nationally recognized expert in the fields of mental illness and crisis de-escalation systems and is the lead consultant and key instructor for the Memphis Police CIT program. He also directs the trauma recovery program for both the Memphis Police and Fire Departments. He has trained a wide variety of professionals, including those involved in criminal justice, fire, emergency medical services, healthcare, social service as well as business and industry. ​Before the creation of the CIT program responding to common calls involving someone living with a mental illness like disturbing the peace or minor misdemeanor offenses would often result in the person being taken directly to jail. This increased the population of the jail with people who would be better suited in a medical facility and created safety concerns for inmates. Memphis created the concept of jail diversion; taking known or suspected individuals showing signs of a mental illness to the hospital for treatment first before they entered the court system. CIT helps keep people with mental illnesses out of jail, and gets them into treatment. Studies show that police-based diversions, and CIT especially, significantly reduce arrests of people with serious mental illnesses. Pre-booking diversion, including CIT, also reduced the number of re-arrests by 58%. 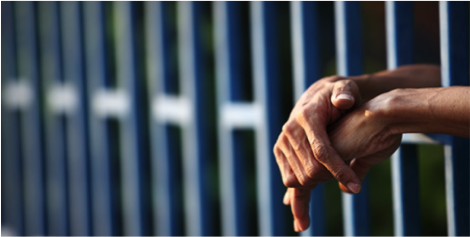 In a one-year study of pre-booking jail diversion, including CIT, participants in jail diversion programs spent on average two more months in the community than non-diverted individuals. Individuals diverted through CIT and other programs receive more counseling, medication and other forms of treatment than individuals who are not diverted. CIT training reduces officer stigma and prejudice toward people with mental illness. CIT officers do a good job of identifying individuals who need psychiatric care and are 25% more likely to transport an individual to a psychiatric treatment facility than other officers. CIT reduces officer injuries, SWAT team emergencies, and the amount of time officers spend on the disposition of mental disturbance calls. 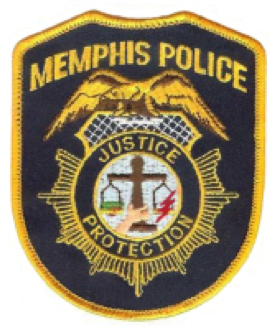 After the introduction of CIT In Memphis, officer injuries sustained during responses to “mental disturbance” calls dropped 80%. After the introduction of CIT in Albuquerque, the number of crisis intervention calls requiring SWAT team involvement declined by 58%. In Albuquerque, police shootings in the community declined after the introduction of CIT. Officers trained in CIT rate their program as more effective at meeting the needs of people with mental illness, minimizing the amount of time they spend on “mental disturbance” calls, and maintaining community safety, than officers who rely on a mobile crisis unit or in-house social worker for assistance with “mental disturbance” calls. Contreras, G. (1997, November 9). Police Crisis Team Honored. Albuquerque Journal. ​In 1996 Sgt. Gene Pettit was assigned the task of starting a CIT program for the Albuquerque Police Department (APD). He began networking to build collaboration with the community. With a joint effort the University of New Mexico, NAMI, and the APD put on their first 40-hour CIT class that graduated January 31st, 1997. The class was taught in collaboration with community experts at the local resources that were available to officers. The APD was an innovator in expanding the CIT program in law enforcement. By creating a unit of full time sworn officers for follow up with individuals living with mental illness the APD created a standard for police intervention in crisis situations. 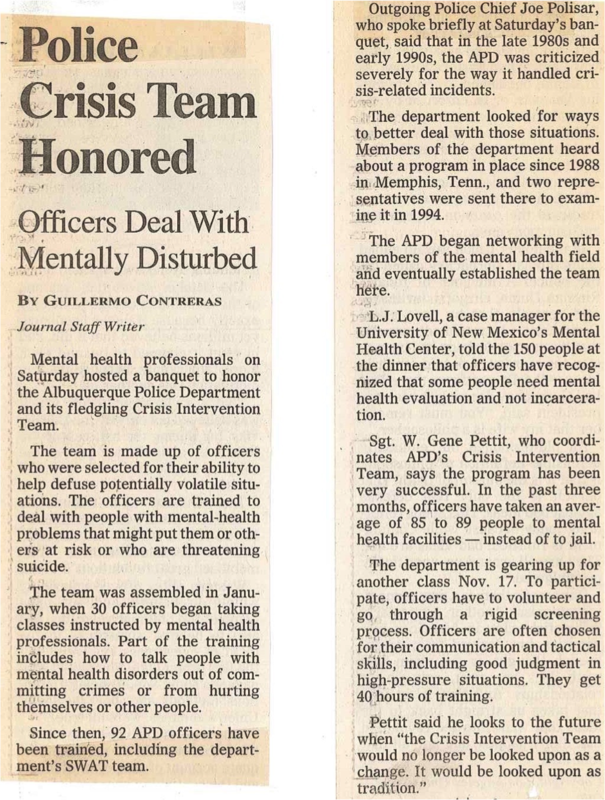 APD was the first department to have a psychiatrist employed to assist in guidance on police crisis intervention. The APD and the Department of Justice created a settlement agreement in 2015 outlining changes in the CIT program to include increase in data collection, training, and increase in detectives. Shoup, S. (1999, June 11). Crisis Training Cuts SWAT Deployments, Police Official Says. Albuquerque Journal. Dupont, Randolph, Sam Cochran, and Sarah Pillsbury. "Crisis Intervention Team Core Elements." (2007). Print. "Crisis Intervention Teams." National Alliance on Mental Illness. N.p., n.d. Web. <http://www2.nami.org/template.cfm?section=CIT2>. Vickers, B. (2000, July 1). Memphis, Tennessee, Police Department's Crisis Intervention Team. Practitioner Perspectives. Sheridan, E., & Teplin, L. (1981). Police- referred psychiatric emergencies: advantages of community treatment. Journal of Community Psychology, 9, 140-147. TAPA Center for Jail Diversion. (2004). “What can we say about the effectiveness of jail diversion programs for persons with co- occurring disorders?” The National GAINS Center. Accessed December 19, 2007 at: http://gainscenter.samhsa.gov/pdfs/ jail_diversion/WhatCanWeSay.pdf. Compton, M., Esterberg, M., McGee, R., Kotwicki, R., & Oliva, J. (2006). “Crisis intervention team training: changes in knowledge, attitudes, and stigma related to schizophrenia.” Psychiatric Services, 57, 1199-1202. Strauss, G., Glenn, M., Reddi, P., Afaq, I., et al.(2005). “Psychiatric disposition of patients brought in by crisis intervention team police officers.” Community Mental Health Journal, 41, 223-224. Teller, J., Munetz, M., Gil, K. & Ritter, C. (2006). “Crisis intervention team training for police officers responding to mental disturbance calls.” Psychiatric Services, 57, 232-237. Dupont, R., Cochran, S., & Bush, A. (1999) “Reducing criminalization among individuals with mental illness.” Presented at the US Department of Justice and Department of Health and Human Services, Substance Abuse and Mental Health Services Administration (SAMHSA) Conference on Forensics and Mental Illness, Washington, DC, July 1999. Bower, D., & Pettit, G. (2001). The Albuquerque Police Department’s Crisis Intervention Team: A Report Card. FBI Law Enforcement Bulletin. Dupont R., & Cochran, S.(2000). “A programmatic approach to use of force issues in mental illness events.” Presented at the US Department of Justice Conference on Law Enforcement Use of Force, Washington, DC, May 2000. Borum, R., Deane, M.D., Steadman, H., & Morrissey, J. (1998). “Police perspectives on responding to mentally ill people in crisis: perceptions of program effectiveness.” Behavioral Sciences and the Law, 16, 393-405.